Essex Police Casualty Reduction Unit is opening its doors to members of the public for a family open day at South Woodham Ferrers‬ Police Station. 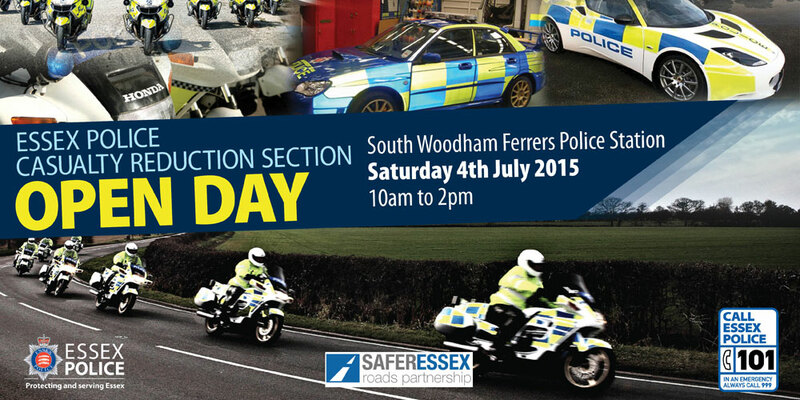 Between 10am and 2pm on Saturday 4 July, visitors will be able to chat to officers, see the motorbikes, cars and other vehicles the team uses on patrol, and watch demonstrations and videos about road safety. Visit Essex Police’s Facebook page for more information and updates about the event.